Great fan of Michael Ansara. Got a bit of a laugh when I saw ‘Cochise’ was wearing a watch though. Thanks for the comment Yvonne … I had not even noticed the watch. 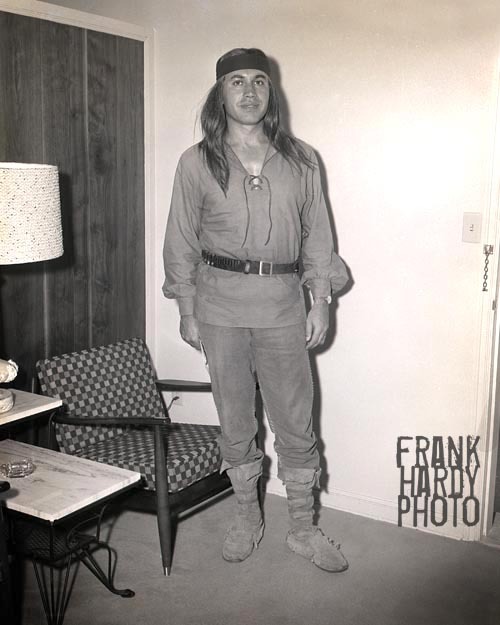 I have a photo of Ansara getting off of the plane in Pensacola dressed as Cochise that I will post later. Could you imagine someone today dressed as an Indian fling from LA to Florida? I doubt that they would even let them board the plane. My father said that he was a good sport about everything and was just a very nice person. I wish that I could locate someone that was here in Pensacola when he came through and could share some stories with us. Thanks again for the comment and check back with the site on those other photos of Ansara.